Our team committed to help Home Owners,Real Estate Agents and New Home Builders to sell their property quickly and for Top Dollar. Our other services: Interior and Events decorating. 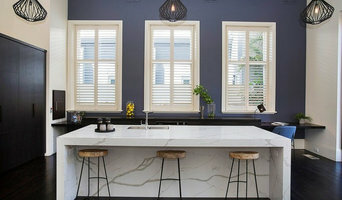 Based on the Mornington Peninsula, Freestyle Interiors specialises in furniture hire and styling for properties on the Mornington Peninsula, Bayside Melbourne and South East Melbourne. What We Do... TAYA Danchenko Mural Atelier for smart and creative homeowners, who want to save time, money and headaches. FOR THE HOMEBUYER Home styling – You’ve reached your milestone, your new HOUSE is built but not the HOME; now the headache begins—upstyle it. Well, that’s only if you choose to do it the hard way. With TAYA Danchenko Mural Atelier you can eliminate new-homeowner stress. With skilled in-house decoration, years of experience, and unparalleled expertise, TAYA Danchenko Mural Atelier is here to tackle the complete home Styling and furnishing for you. Just sit back and watch us convert your new house into your dream home. 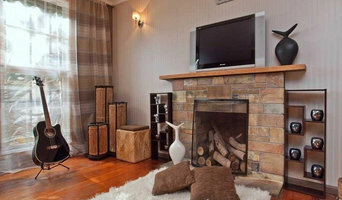 FOR THE SELLER AND LANDLORD Home Styling – Your building is finally complete, and apartments need to be sold or rented. You want to get it done—fast. At TAYA Danchenko Mural Atelier, we help you expedite the process. By Styling your model apartment with enticing furniture and decor, we get that desired effect to impress your potential clients and get your apartments moving fast. Staged Homes sets the stage with chic, sophisticated and effortless designs. First impressions are lasting for house hunters who walk through the door. The 'must have look' creates competition so vendors sell fast...for more. 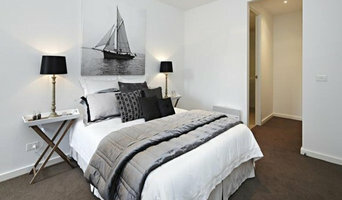 We are a Melbourne based styling business that will furnish and style your property for sale. In a collaborative approach with both owner and agent, we will use furnishings to complement the style of your property. We pride ourselves on providing simple, yet effective design solutions that are cost effective and appeal to a broad range of prospective buyers. From the big picture concepts that define the overall image of a property down to the details that sometimes make the most significant difference, KMode delivers style that lifts any residence’s profile – and enhances prospects of an exceptional sale price. At KMode, we deal in aesthetics, but we recognize the economic imperative – a property must not only look great, it must present to the market in a manner that is most likely to create the best possible sale. For us, it’s a matter of style with substance, form with function, elegance with effect. We have a proven track record and understand what works, a formula that delivers results. Kate’s credentials are as exceptional as her style instincts. Being a current bay-side resident and growing up in Sandringham, Kate’s background is all about property. 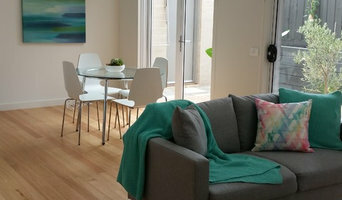 Having watched family businesses, McKimm Developments and Inform Build design, project manage and build countless homes throughout the bay-side area has imbedded in Kate’s psyche the intrinsic difference the “perfect emotive presentation” can make to the overall outcome desired by the client. Career success in residential real estate from 2004 to 2009, in both sales and administrative roles included the responsibility of guiding clients through their sales process. In particular, offering advice on presenting their homes for sale allowing them to achieve the very best possible outcome. The primary focus of KMode is pre-sale property styling in preparation for photography and the marketing campaign. In addition, Kate offers a comprehensive Interior Design/Styling service for clients looking to maximize style and substance of their current home. We furnish and style any property from small apartments to multi million dollar homes across Melbourne utilizing an extensive range of furniture, soft furnishings and accessories to provide the perfect look for each home. At KMode only quality brands are used, including Jardan, House of Orange, HK Living and Country Road. We also adopt a policy of supporting innovative independent local artists such as Katie McKinnon and Fiona Slater. In short, KMode is a start to finish service! We work with our clients from the initial inspection through to the final furniture selection and room by room placement. Our advice and assistance is entirely professional but we also remember the importance of listening – our clients’ input is valued and requests are respected. GMI&E Styling prides itself on exceeding clients' expectations by providing a personalized service and paying close attention to detail. Our aim is to assist our clients achieve a premium sale price by maximizing each properties appeal to potential buyers. We can transform your property through a full-scale set-up, partial refurbishment or through our consultation service. Founder and Creative Director, Genevieve Stone, will ensure that an impressive interior is achieved through her versatile sense of style and hands on approach. 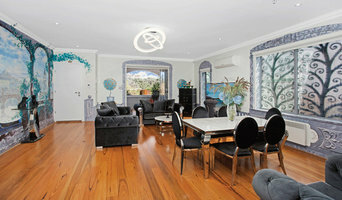 At The Styling Group we specialise in styling homes for sale. Our approach to styling a home is a proven professional process. We furnish, decorate and manage homes to maximise their appeal. Through the use of beautiful furniture, artwork and accessories we ‘stage’ the rooms of a home so buyers can visualise themselves living in the property. Styling is a science, and we create environments that strike emotional chords with buyers which leads to list price sales. With over 20 years of combined design experience and numerous awards, The Styling Group work closely with clients and agents to ensure that our team will come up with the perfect style to suit every design brief, demographic and budget.